SANZAAR, as a governing body, has failed all its stakeholders when it comes to the evolution of Super Rugby as a competition. The organisation, borne out of a partnership of South African, New Zealand, and Australian rugby when the game was hurriedly propelled into professionalism two decades ago and expanded with the addition of Argentina in recent years, has always tried to run the provincial game in the Southern Hemisphere by committee. Everything it does requires not just a vote but unanimous agreement. Sadly, this committee has shown itself to be no more efficient than a school association baking cupcakes. If we think back to the mid-2000s, the then Super 12 competition added two more sides – the Western Force from Perth and the Cheetahs from Bloemfontein – on the ticket of more games in more time zones, giving the Southern Hemisphere competition a bigger footprint that would be more appealing to broadcasters and sponsors. More would be more, we were told, and so it did kind of prove to be. More was also going to more when Super 14 became the 15-team Super Rugby competition, which first introduced the now doomed conference model, and more was certainly going to be more when 15 became 18, with two new countries and three new time zones added to the mix. Except that not long after more became the morest, it quickly materialised that less is in fact more and that consolidation was required before we ever found out just how much more more could actually be. And just as Australia was preparing to accept that five teams were too many for the same reason six were too many in South Africa, the long-rumoured, often-threatened “we’re heading north” card was finally played. And so too had been Australia. So less was apparently now more, but that obviously wasn’t true either. Less was actually very reluctantly the same, with the broadcasters rather miraculously agreeing to ask for the refunds they were entitled to ask for on account of them paying more for more but actually receiving less. So less was sort of more-ish for the remainder of the current and rapidly revised broadcast deal through to the end of the 2020 season. Except that just as the less-is-more 15-team format was more or less starting, a review was launched, so SANZAAR told us last week. At the same time the 15-team competition was kicking off – or resuming, if you’d prefer – and trying to re-establish its consolidated foothold in the global rugby marketplace, it was immediately under review. The end-of-season broom through the joint was essentially being reached for at the beginning of Round 1. And that review concluded, we were told last week, that “the immediate future of Super Rugby rests with a 14-team round robin competition format”. That is, the future of Super Rugby from 2021 was to implement the same model first used in 2006. More is officially now less. And Super Rugby is a mess. In the aftermath of Friday’s confirmation of the Sunwolves’ looming demise, fingers are pointing in all directions. 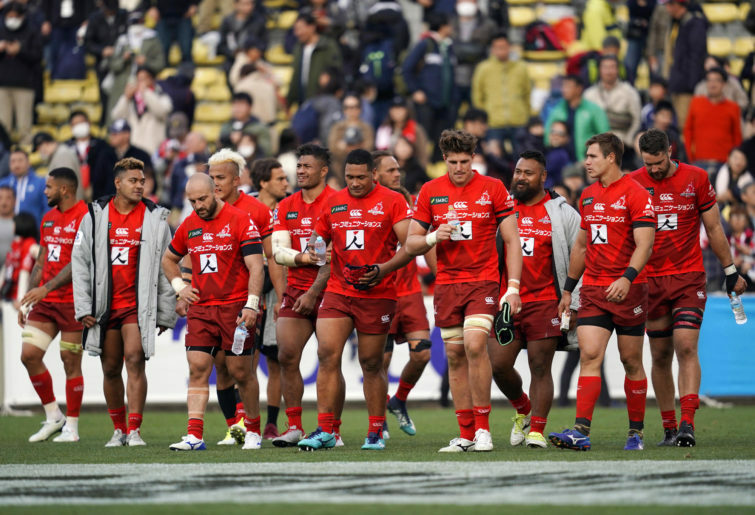 Australia and New Zealand saw the long-term benefits of Japanese inclusion in Super Rugby, even if the supposed broader benefits hadn’t quite materialised. South Africa borrowed from the Indian cricket playbook and played the broadcast money card nice and early as well as drawing on grudges held against Japan since the Rugby World Cup vote. SANZAAR say Japan pulled out. Japan say they weren’t going to pay bills not imposed on anyone else, not even Argentina, who would seemingly bring similarly little to the grander scheme of competition value. 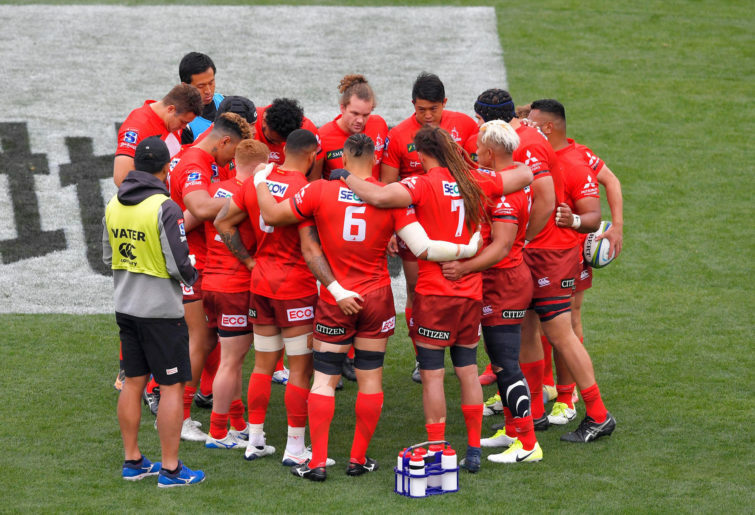 Global Rapid Rugby is apparently ready to throw the welcome mat out for the Sunwolves, and Robbie Deans says this should and probably will happen. And this makes sense, with reports of an Asian Super Rugby focussing on all the same Asian market targets. But then GRR bullishly claimed this idea was all a figment of the imagination, without even the slightest hint of irony. Still no-one has asked South Africa to clarify whether their oft-stated ‘commitment to the SANZAAR’ partnership actually includes Super Rugby. They’ve never said it does, for the record. With Australia and New Zealand remaining in agreement about Japan’s fit in the local market coupled with a growing desire to bring the Pacific Islands into the game, the time has never been riper for the national unions in this neck of the woods to properly look at options. And I mean a proper look – genuinely develop options and have conversations with all the necessary stakeholders to see if trans-Tasman-centred competition including Japan and the Islands, or a broader Pacific Rim competition incorporating the Americas, is of interest or is viable. Of course the other elephant in the room remains World Rugby’s Nations Championship, which, if it happens to progress and edge closer to reality, will only raise more questions as to the usefulness of the SANZAAR partnership in its current form. Rugby has evolved the world over. Professional rugby has evolved enormously since the game allowed players to make a living from the game back in the mid-1990s. But somehow Super Rugby is back where it was 15 years ago. And SANZAAR’s effectiveness remains stunted not by its own evolution but by a fear of evolution crippled by its own decision-making.